One strategy for teaching the names and sounds of the alphabet letters is through frequent, repeated readings of ABC books, as we discussed in last week’s post, Teaching the Letters of the Alphabet: Using ABC Books. We need to be intentional about which books we are choosing for the specific objective we want to accomplish. In a previous post, Teaching Letters of the Alphabet Using ABC Books, we examined books that address the learning target of teaching letter names for both upper- and lowercase letters. With intentional choosing of books and guidance from the teacher, we can also use ABC books effectively to help expose, practice and explore the sounds of letters and even all 40 sounds of the alphabet. CHOOSE with INTENTION based on your objective. Let’s explore books that go beyond beginning teaching of the letters of the alphabet and their most commonly used sounds. The books below can be used to teach letter sounds beyond the most commonly used sound, letters in all positions in words, and applying letter sounds. LOTS of words that start with the same letter in one sentence. This book is one of my favorites since it has SO many different extensions and learning opportunities. Explore lots of sounds made by the same letter or letter combinations. Great book to extend into geography and place a picture of each animal on the country in which they live on a large map. Make a list or a book of animals that start with each letter. Follow up by making a class book of alliteration sentences using student’s names. LOVE the riddle part of this book. Students need to already have a good working knowledge of the letters of the alphabet and their most commonly used sounds but this is an excellent book to help them apply those skills. This is not a book to use for beginning learning of the letters of the alphabet. The students have to guess why a letter would stand for a word that does not begin with that letter. For example, B is for dog- because it barks. Includes great critical thinking skills of associations. I do not like, however, that uppercase letters are used in the middle of sentences. We can point out that sometimes authors write using different fonts and sentence styles but that when we write we do not use uppercase letters in the middle of sentences unless it is a name. Both of these books are excellent for comparing all of the different sounds that can be made with one letter and letter combinations starting with that letter. Comparing the sounds in the book to the sounds that the letter makes at the beginning of children’s names. See blog post on why and how to teach letters of the alphabet through students’ names. 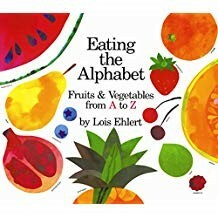 Great book for showing the letters of the alphabet in all places within a word, not just at the beginning. This is another favorite of mine since we want children examing letters in words in all positions and this book shows both upper- and lowercase letter. Great book for examining the letters in random order. The book refers back to letters multiple times as the letters argue and discuss the order in which they should be. Friendship and feelings topics can be discussed as an extension with this book.